Ekaterinburg is a city for intellectual tourists. It has many libraries, theaters, museums, and seemingly somewhat inappropriate monuments: for example, a monument to Michael Jackson and the keyboard. The beautiful building of the Yekaterinburg Circus is decorated with an unusual openwork dome, which can accommodate 2 600 spectators. Since its foundation, Yekaterinburg has always been the center of industry and engineering. In the XIX century, the Urals' metal was considered the best in the world, it was used in the construction of the Eiffel Tower in Paris, it covered the roof of the London Parliament, it made the frame of the American Statue of Liberty. The cultural life of Ekaterinburg is extremely diverse and rich. There are 15 professional theaters and more than 30 theatrical studios and collectives in the city. Evidence of originality and success of local productions are numerous awards of the festival "Golden Mask", the main theatrical award of Russia. A real "record" for the number of awards among all Yekaterinburg theaters is the Theater of Musical Comedy. These are just a few of the most famous places tourists will surely enjoy exploring. Whatever is the purpose of your travel to Yekaterinburg, a question may arise such as where to rent a car with a professional in this city. On many occasions when foreigners come to the city, they prefer to find a company that can also supply a driver with a hired vehicle. This is a much convenient way of moving around the city and has a lot of advantages as it limits the risk of being responsible for any accidents and damages. Therefore, finding the right firm with a good reputation, which can organize professional high-quality service is vital. Send us a quote and fill out all your requirements and we will proceed immediately with your order. The benefits of hiring a vehicle alongside the use of a qualified driver’s service are enormous. Clients totally eliminate any type of risk regarding individual driving. There is nothing better than to be a passenger in a rented car and be driven to whatever places are required. Speeding penalties are no worries for you, hence you will be confident that nothing is going to be debited from your credit card later as a charge for a speeding offense. The other very important benefit is that once you appear in a place where you have never been to, it is certainly hard to cope with traffic and lack of routes' knowledge. The driver will provide you with 100% peace of mind by taking you whatever is necessary. Based on his superb knowledge of the city, he will help you to plan the roots, in accordance with your requirements, and provide you with the best logistics. He will be at your disposal any time you want (nights included). If you want to fully relax and enjoy the trip to the city of Yekaterinburg then we advise you to rent a chauffeured car at 8rental. Airport picks up and transfers. The range of cars we can provide. Booking a car and a high professional chauffeur is the best option for one who comes to have a great trip to a new city. We carefully select all staff and consider all requirements regarding their professionalism, mentioned by our customers in their quotes. 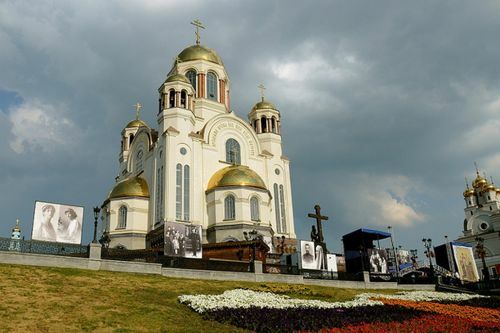 The drivers will carefully listen to customers' questions and will provide you with an advice on what is the best option for your trip and what should you do in Yekaterinburg. Besides, Russian, our drivers speak several international languages as we care a lot about our customers' satisfaction.